Let's start off the new year on the right foot! Or better yet...Run Both Races! 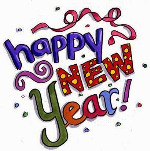 iRun Western New York proudly presents the 4th Annual 5K New Year's Classic. Two races will be held (one on New Year's Eve and another on New Year's Day) at beautiful Fort Niagara State Park in Youngstown, New York! Runners can sign up to run on New Year's Eve (12-31-19), New Year's Day (1-1-20), or both! We are planning to use the USATF Course #NY11071JG and are having a large heated tent erected for race day registration, race bib pickup, and the post race party and awards ceremony after each race. Both 5K races will start and finish near the historic lighthouse at Old Fort Niagara. The New Year's Eve 5K will take place on December 31st and will feature a clockwise course. The New Year's Day 5K will take place on January 1st and will feature a counter-clockwise course. There will be two water stops on the course and bottled water will be provided to all runners at the finish line. What is your New Year's resolution! Enter your New Year's resolution online during the registration process (20 characters or less) and we will announce it when you cross the finish line! Online registration will remain open until Monday 12-31-19 at 5:00pm. Race day registration and race bib pickup will take place inside our heated tent from 10:30am right up until the start of each race at noon. You also have the option to download and print a paper application. Registration will be capped at 350 participants so that we can accommodate everyone in our heated tent. Join us after the race for a post race celebration that will include pizza from Main Street Pizzeria. Participants are invited to bring refreshments of your choice to the post race celebration and no person under the age of 21 is permitted to drink alcoholic beverages. There will be plenty of free parking in the main parking lot near the pool/beach a short 3-4 minute walk to the start/finish area. Please refrain from parking in the Historic Old Fort Niagara parking lot as they are open for business and have asked us to use the main lot on both days. 14 and under, 15-19, 20-29, 30-39, 40-49, 50-59, 60-69, 70-79, 80 and older. For additional information on the race or sponsorship opportunities available, please contact Paul Beatty at 716-998-5777. 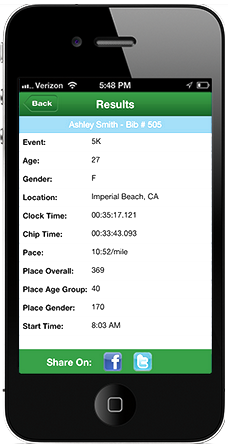 Race participants can also use the ITSYourRace platform to view and share finish line photos with family and friends for free on Facebook along with free custom finisher certificates!